Nothing evokes a summer idyll like a lazy day spent at water’s edge. In Vermont, this means a lake or a pond, which means the water is as likely to be bordered by gravel or stones as sand, rather than the white sands a beach photo usually brings to mind. In any case, one thing we’ve learned in fifteen years of parenting is that while great memories can be created spending time at the beach, there are no guarantees that the idyll will stretch before you like the seemingly unending sands of Praia do Cassino. Being prepared and flexible can make the excursion more fun and maybe even more relaxing for everyone. Make sure you have access to shade. Some people can contentedly spend a day in the sun, but most of us like a reprieve. If your planned destination doesn’t offer some natural shade, bring your own in the form of an umbrella or beach shelter. Very young children might nap if they can get out of the sun, and bigger kids will enjoy the rest provided by some shelter from intense sunshine. A little shade, with hats and other sun protection, should make your day at the beach more pleasant. Toys are a nice addition to a day beside the water. 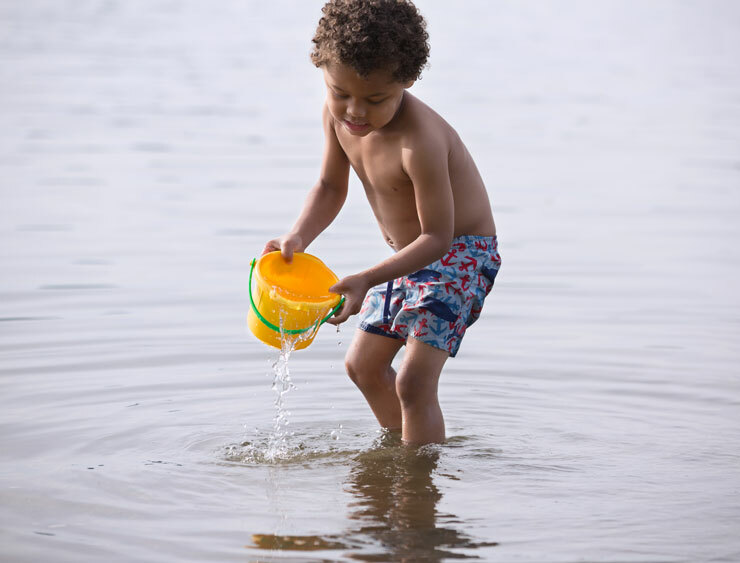 A bucket and something to dig with will keep many children occupied for hours as they move sand and water around. Forms for castles or water wheels can make for some interesting experiments. 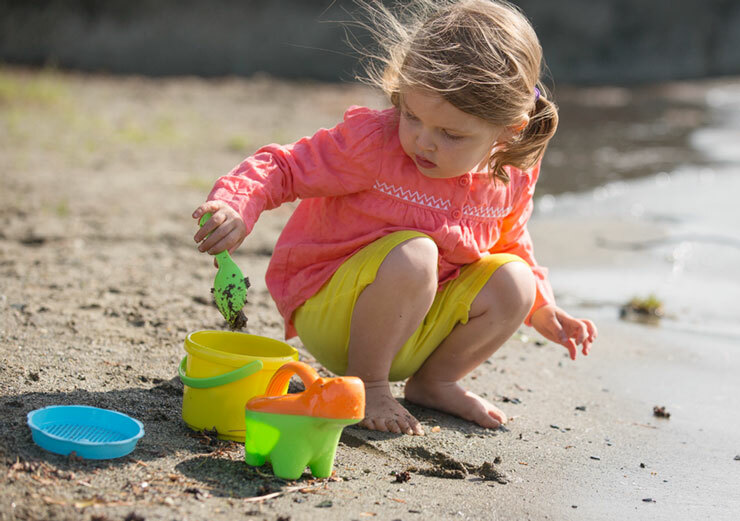 A few active toys that won’t blow away can be fun. 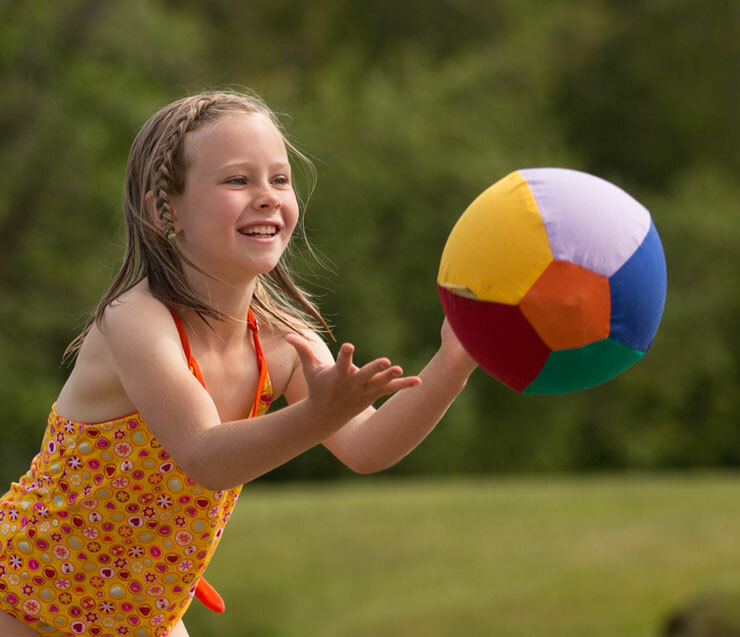 Take care with your beach ball lest it become someone else’s beach ball since they are forever blowing away. It’s not a big deal, just deflate it between uses (or, shameless plug alert, try our Inflate-a-Ball!). A frisbee is just about perfect for the water or along the beach, because it is unlikely to be randomly carried away by the wind. If there’s room for it, kites are a lot of fun at the beach. There tends to be more wind and fewer overhead obstructions. Play with the toys with your children. After you’ve hatted everyone and rubbed them with sunscreen and kept them from drowning and realized you can’t simultaneously read and monitor the children, you might as well surrender to the pleasures of digging. You can make moats and channels and give little lessons on water and sand. You can enjoy the quiet industry of playing beside your digging children. Be sure to bring something small to carry home whatever is collected. Most children will collect something. One of mine prefers rocks, another likes dead marine life. A small vessel respects their desire to remember the day with a souvenir while limiting the extent of their collections. Remember that some places have endangered plants or fragile ecosystems. Always observe rules about what plants and animals you may disturb and collect. If there will be sand, plan food accordingly. Toddlers plus sand plus watermelon is not the easiest combination. Grapes are pretty doable when dealing with sand. You might want carefully wrapped sandwiches; you might avoid dips. The point here is to think of what challenges the day might bring and plan food accordingly. Bring lots of drinking water. Wind and sun dry everyone out, and everyone is much more grumpy and less cooperative when they’re thirsty. There’s a certain irony in this tip; being surrounded by water with none to drink can truly amp up the crankiness. Did I say that? Aren’t we on summer vacation? Just hear me out! The beach is a fun place to practice writing. You and your child can put messages in the sand then watch the waves take them away. Play a giant game of tic-tac-toe. With toes. Make spirals and walk around them. De rigueur for the adults, I know. Books and beaches go together like peanut butter and jellyfish. Or something like that. Bring a book or two with you. 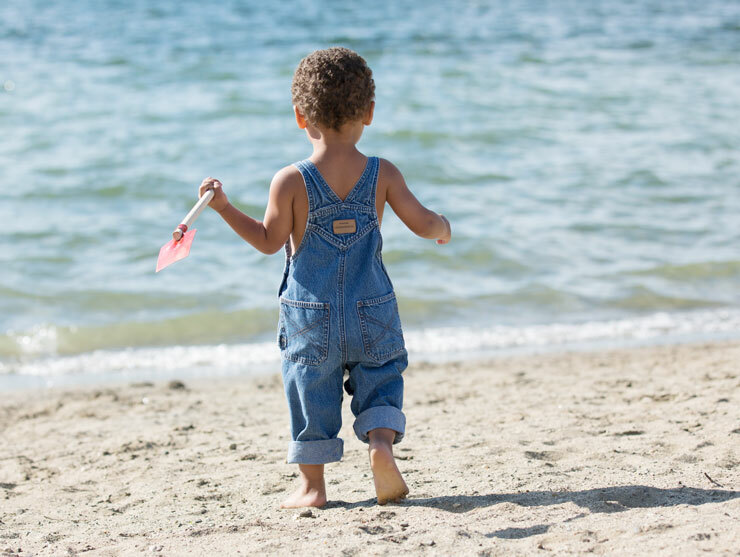 Your child might enjoy some down time in all the action of a beach, and a book is an easy way to offer it. A field guide to seashells can add another level of interest to any shells you find. And you might be able to enjoy your own book if everyone settles into their own tasks for awhile. And last but not least, be flexible. We’ve had days at the beach that lasted under two hours and quick jaunts that stretched into five hours. Summer is a good time to indulge these whims. After all, it’s supposed to be fun. If it’s not, don’t force it.